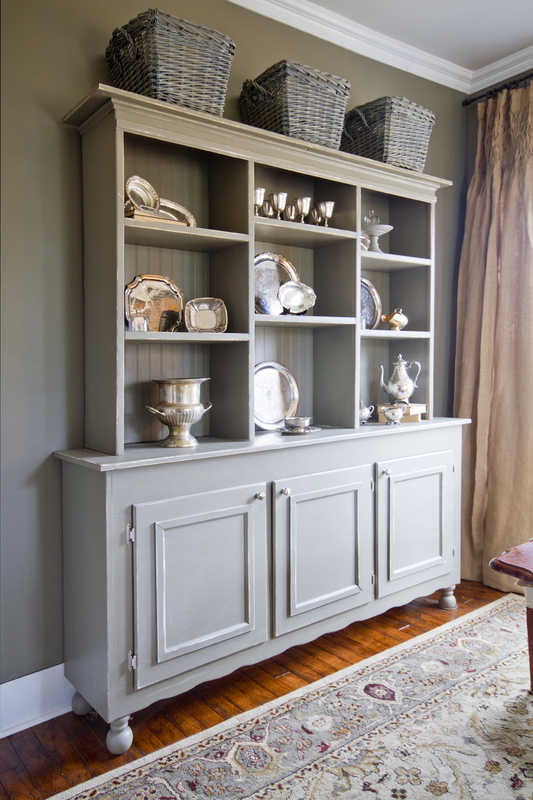 Hey guys, today I am swooning over this gray painted hutch from Thistlewood Farms! Love the color combination here with the taupe walls, gray hutch and light blue in the rug. And that silver collection...so stinkin' pretty. Seriously if you've still got dark wood furniture in your dining room like I do...it may be time for an update, and this is a great one to bookmark! Give KariAnne a shout over at Thistlewood Farms...and while your there, show her some gray hutch love!